Wolmer’s Boys’ and Girls’ high schools in Kingston have benefited from the generosity of their Alumni Association in Toronto, Canada, to the tune of C$50,000. Mrs. White-Smith was giving an update at the Association’s annual fundraising event, recently, at the Pearson Convention Centre in Toronto. Each year, the group organizes “The Great Luncheon Concert”. This year’s star performer was internationally renowned Jamaican jazz pianist, Monty Alexander. Vice-President of the Wolmer’s Alumni Association, Neville Hendricks (right), presents the ‘Wolmer’s Toronto Champion Award’ to honorary member, Sia Mizrahi (left), for outstanding support, dedication and commitment to the Association. Mrs. White-Smith revealed that, in 2010, the Association also funded bursaries and scholarships to students studying at the University of Waterloo, Canada, and the University of the West Indies (UWI), Mona, Jamaica. 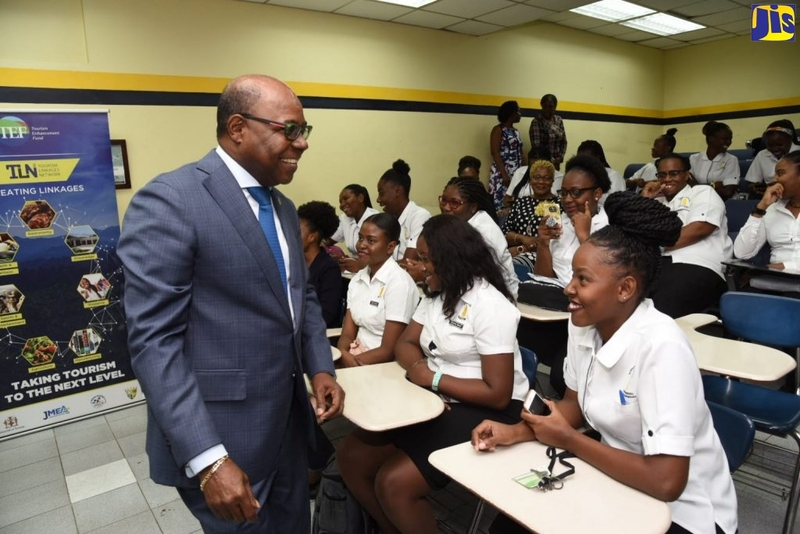 In 2011, the Association will again disburse scholarships and focus on repairs and renovations to buildings at both schools (Wolmer’s Girls and Wolmer’s Boys), and will also contribute to a new programme expected to be launched in February, called “Lean on Me”. “The Association will work closely with the school to identify students who require assistance with uniforms, lunch, bus fares, purchasing books and other things,” Mrs. White-Smith explained. Jamaican Jazz musician extraordinaire, Monty Alexander, featured performer at the annual fundraising event hosted recently by the Wolmer’s Alumni Association in Toronto, Canada. Jamaica’s Consul General to Toronto, Seth George Ramocan, thanked the alumni association for their commitment and contribution, not only to Wolmer’s, but also to Jamaica’s education sector. He also noted that Wolmer’s has produced several outstanding Jamaicans, including National Hero, Rt. Excellent Norman Manley; the late Governor General, Sir Florizel Glasspole; and former Prime Minister, the Most Hon. Edward Seaga. The Wolmer’s Toronto Champion Awards were presented to – Wolmerian Effiom Whyte, an Air Jamaica pilot and honorary Wolmerian Sia Mizrahi – for outstanding support, dedication and commitment to the Association. Monty Alexander treated the audience to some cool jazz, interspersed with Bob Marley’s music, Jamaican folk songs and rhythm and blues.